Stay up-to-date with soccer happenings at all levels, from the Alabama Olympic Development Program (ODP) to youth and adult leagues around the state of Alabama. Paige Taylor started playing soccer as a 4-year-old. 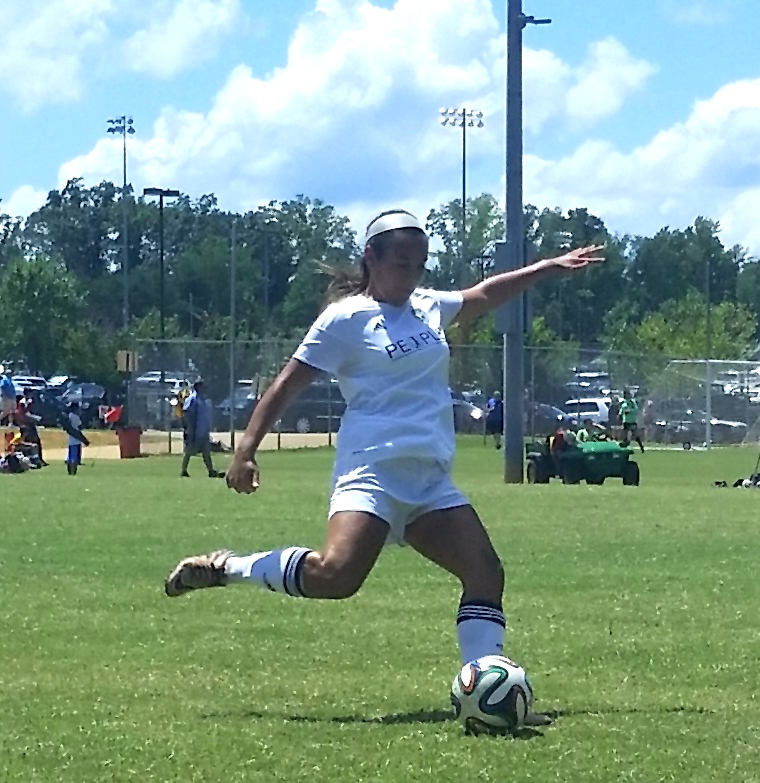 She joined the Academy program at Dacula Soccer Club when she was 9 and has built her life around soccer. She plays center back with 98G Revolution Premier and has consistently been the backbone of the team. With the guidance of her coach, Drew Prentice, she has become an exceptional player, leading as a captain from the beginning. Along with her accomplishments on the field, however she has also demonstrated her commitment to the program and the community with her activities off the field. Paige volunteers for various programs at the soccer club such as the TOPSoccer program, which teaches children with special needs the game she so passionately loves; the U4 Soccer Starts Program; the U7 Pool Training program; and even plans to volunteer as a head coach in the recreation program in the future. Paige, the daughter of Bill and Angelica Taylor, is not only an exceptionally gifted player on the field, but gives her time and talent off the field as well. She is heavily involved in many school activities, such as Peer Leading president of Mountain View High School’s DECA chapter, and she is captain of her high school varsity team. She plans to continue her soccer career at Piedmont College , where expectations are high for her to make an immediate impact.